Thanks for your interest in CamRanger. We hope it your helps your photography as much as it has for us! CamRanger was founded and developed by Dave Pawlowski and his wife Melissa. 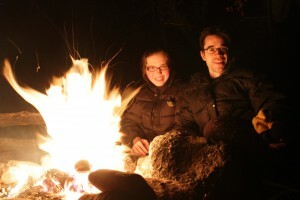 Both have a love of the outdoors and enjoy long-distance backpacking and kayaking. 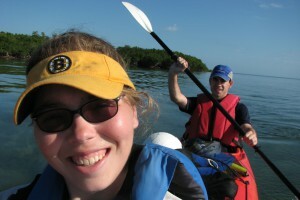 It was actually on a kayaking trip when the idea for CamRanger was first formed. It was very difficult to get a picture taken from a distance with both Dave and Melissa in the kayak and get the focus and framing correct. Surprised by the lack of wireless control options, they used their engineering background and iOS development experience to create their own: CamRanger. We are proudly located in Pinedale, WY, USA. CamRanger is very much a product in active development. We get excellent feedback from customers and are constantly making improvements and enhancements. As customers ourselves we hate being charged extra for little features or new capabilities, so our business model is to provide all the software updates, including new platforms at no charge. We would love to hear from you! Please contact us with any questions, comments, issues, or suggestions. We are quite responsive with customer support, so please do not hesitate.